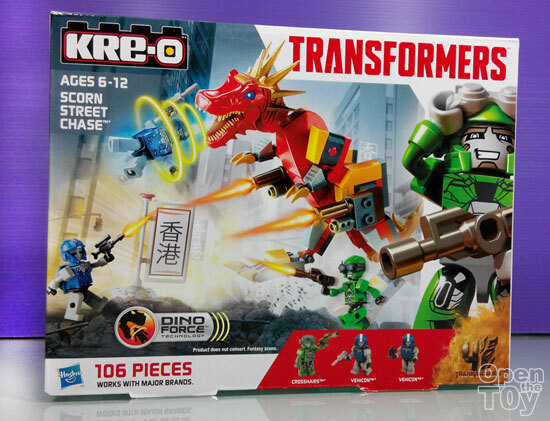 While we are waiting for Transformers Age of Extinction movie to begin, we are going to have some fun with these KRE-O toys. Disclaimer: As we have not seen the latest movie, the fun play we going to have for this review is just fictional and may not be giving spoiler to the coming movie. 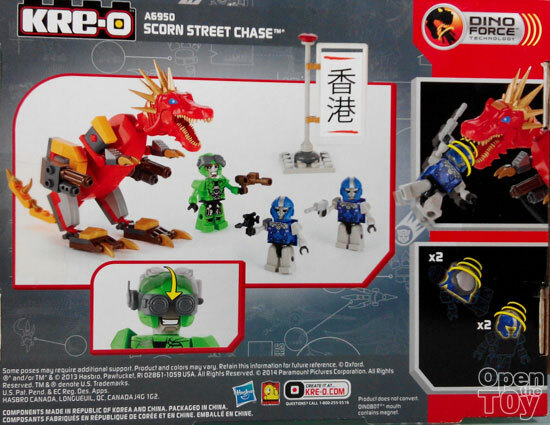 One of the smaller play set for KRE-O Transformers would be Scorn Street Chase set. Small it maybe but it has total of 106 Pieces!! 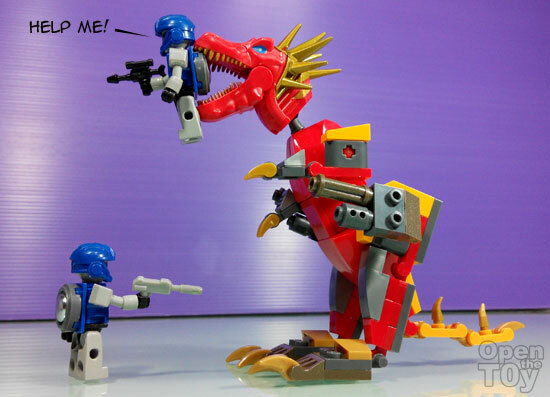 There is a new feature called the Dino Force. More on that later. 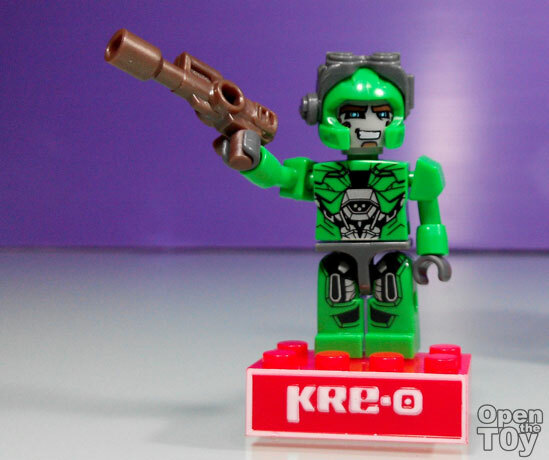 KRE-O from Hasbro is famous for the figures and not so much of building from LEGO. 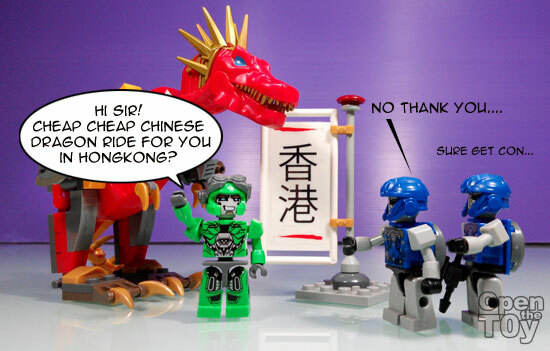 So this set you basically built the KREONS figures. These set has a Dinobot (name unknown), CROSSHAIRS and 2 VEHICON KREONS. 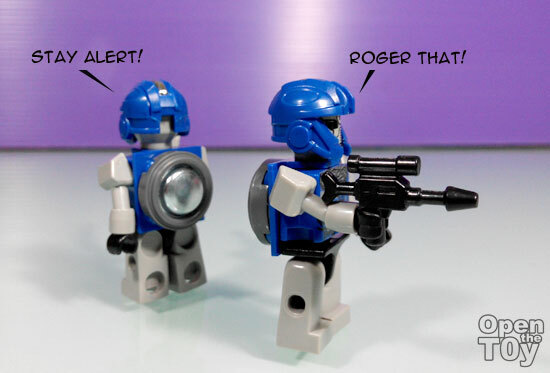 Let's look into the KREONS first. We have CROSSHAIRS in light green tone. He is an Autobots that much I know. He comes with a goggle that allow players to pull down to wear. On the side of the Decepticon, there were the VEHICONS. Two of these identical figures. 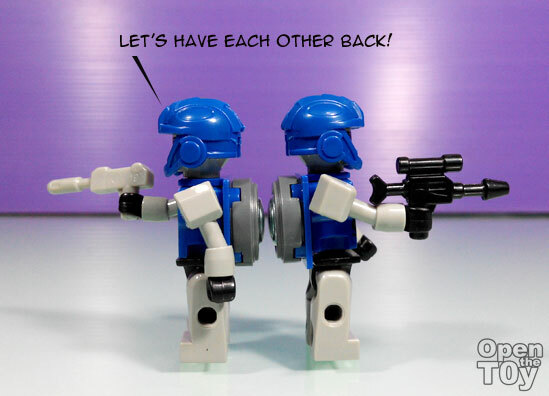 Speaking of their back, each was having a metal piece which is useful for later the Dino Force feature. 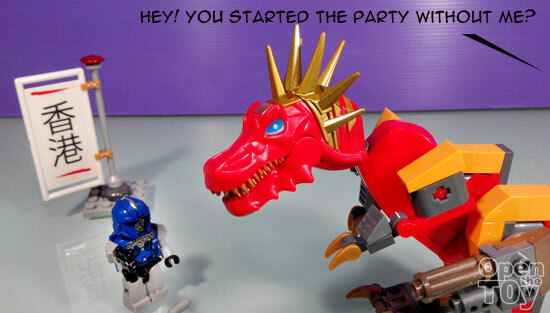 Now let's talk about the Dinobots! 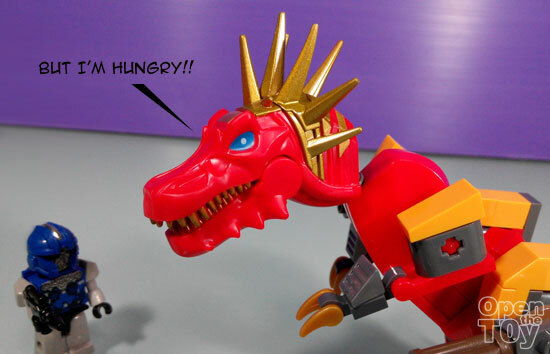 Here's one Red Dinobots named Scorn! The building of this Dinobots is quite easy and the articulation is not too shabby. It has a good feature of Jaw opening up. 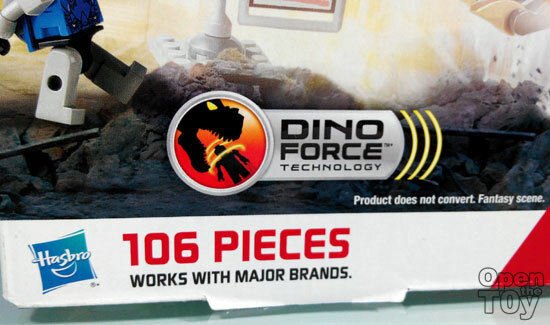 Within the mouth was a hidden magnet which is the Dino Force feature that allow easy pick up of figures wearing the metal pieces. 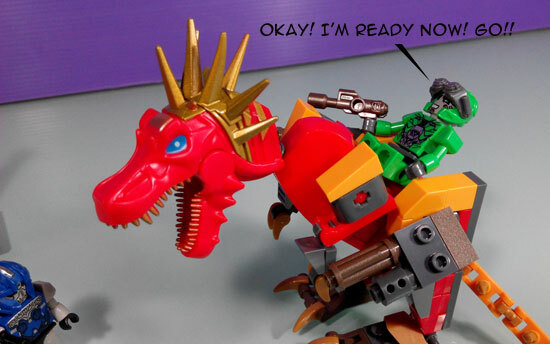 Yes, a KREON can ride on the Dinobots. 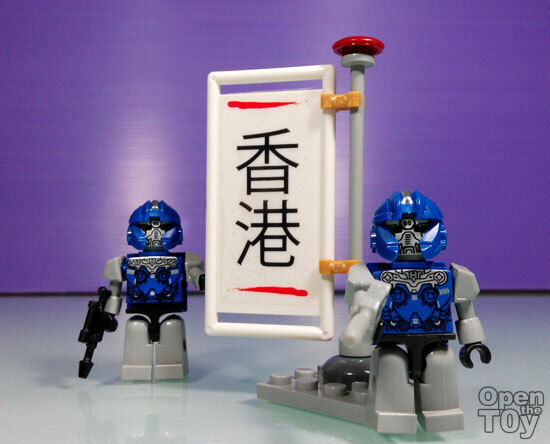 One thing that puzzle me was this flag part that has HONG KONG on it. I wonder why did they include this part. Is it by HONG KONG tourism request? I mean it is not like a landmark that allow tourist to take photo to show they are in HONG KONG or something... oh VEHICONS... you guys really want to act as Tourist? Alright then, let's play along with that shall we? 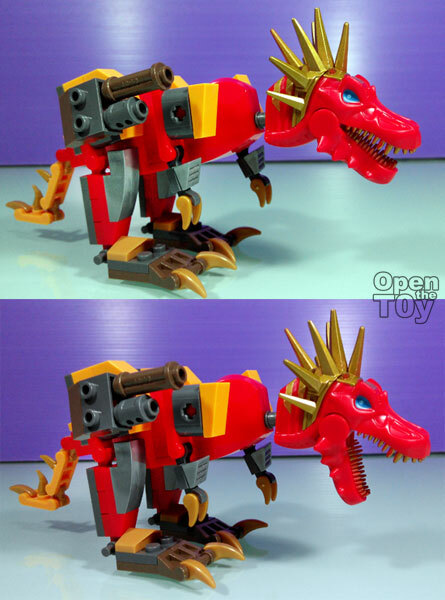 Personally this is a very fun set which my kid just love playing with the Dinobots to terrorist the VEHICONS. Not much use of that flag tho. This set is selling at retail for listed price SGD$24.90. Worth for playing for fun with kids 6 years of age and up as you do need some age to build up the toy following the instruction given. Any younger the parents have to build for them and look out that the small parts are not missing. 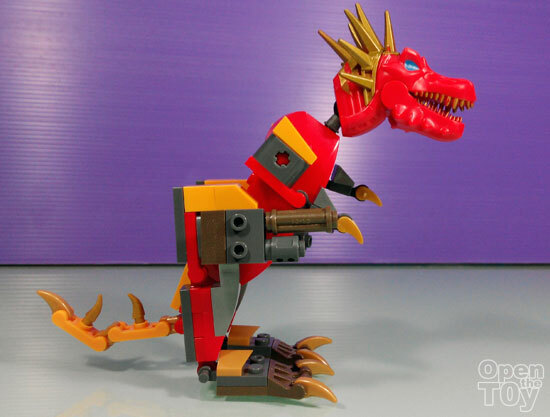 Is this set look fun to you?